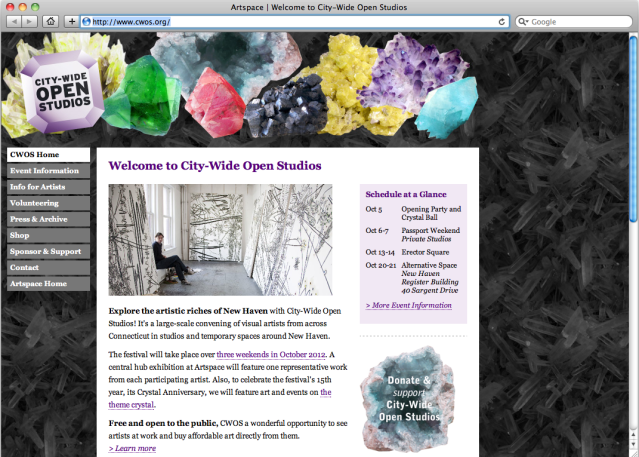 For the fifteenth anniversary of New Haven, Connecticut’s beloved City-Wide Open Studios festival, the organizers at Artspace asked me to highlight the event’s special theme: the crystal anniversary. 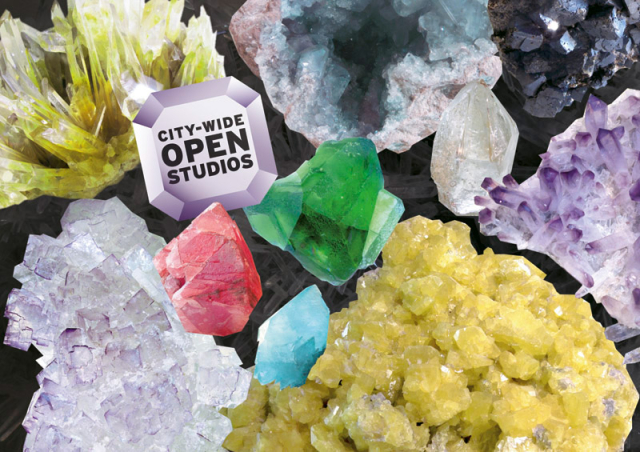 I photographed dozens of real crystals, intensified the colors and combined them in collages, reflecting the diversity of visual artists whose work will be unearthed to shine and sparkle at the month-long event in October 2012. Save-the-date postcards and email invitations. Re-design of the website template, navigation, typography and front page. 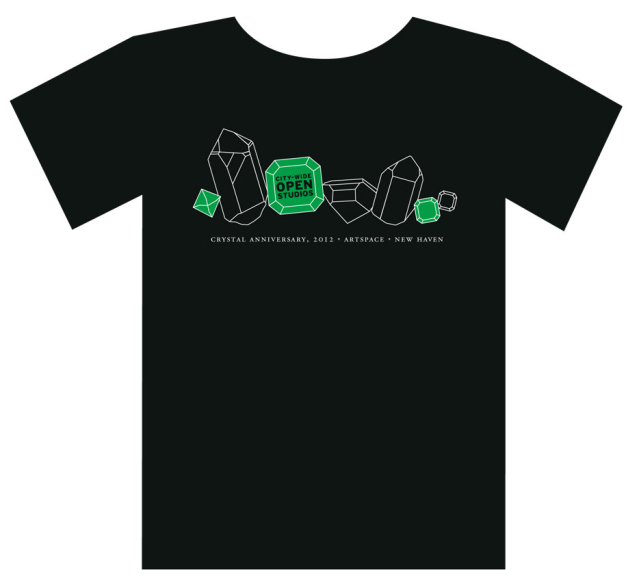 T-shirts silkscreened locally by New Haven’s K&H Graphics with line-drawings of crystals. Order yours here! 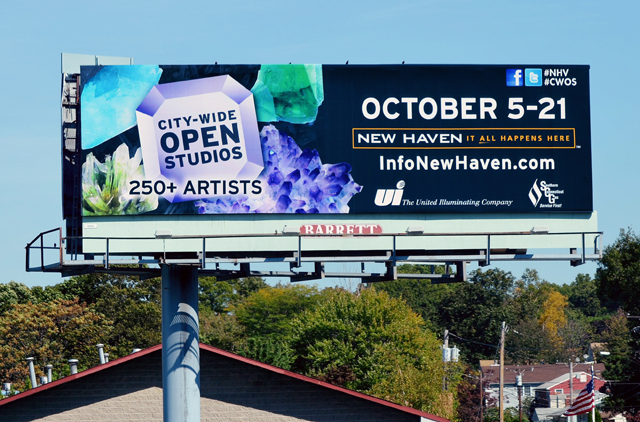 My visual identity for City-Wide Open Studios on a billboard by the Silverman Group for Market New Haven, Inc., on I-95 between New York City and New Haven. Project category: Design. Tags: art, billboard, collage, culture, identity, logo, photography, postcard, t-shirt, website.